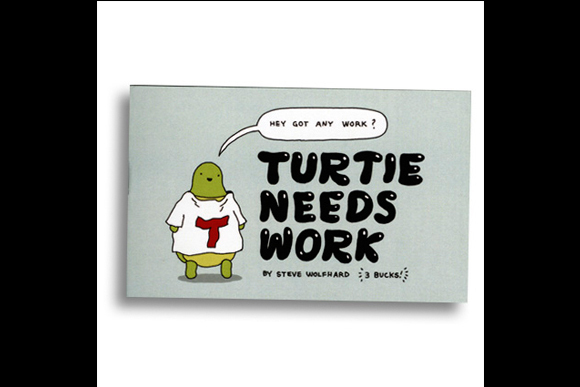 Do you have any work for Turtie? Because boy does he need it! 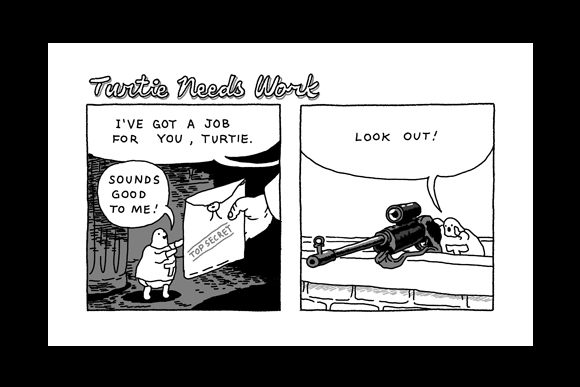 As seen in this super-cute minicomic that chronicles the misadventures of our hapless half-shelled hero. 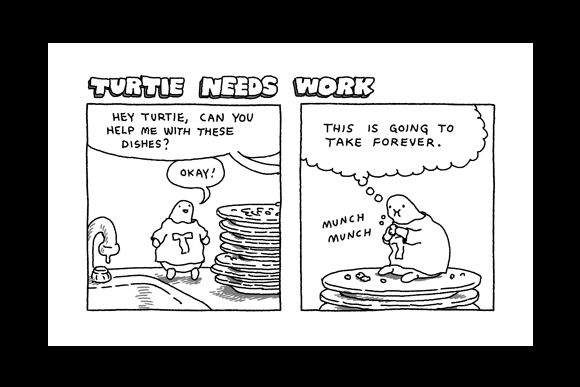 20 pages, b&w minicomic with colour covers.